The best job I have is being a mom. Nothing else is as challenging and rewarding. I've been blessed in being a mom to my son Matthew - my life, my world, my greatest accomplishment. So when it comes to Mother's Day, spending the day with him, getting to hold him, hearing him say I love you is all the gift I could ever need. That doesn't mean a mama doesn't want a little something. Big or small, I always loved giving a gift that my mom would love. Either it was meaningful or practical. So I've picked 3 items that are sweet, thoughtful and practical! I actually have the pendant necklace that has my son's, husband's and my name (outfit coming soon). I swear, I wear it daily even if it's under my sweater. It's gifts like this that says how special mom is. Stay tuned for some other gift ideas. Have you already shopped for a gift? Moms, what's something you really want? Loving your choices! That cup is adorable and the bag is perfect. Thanks for sharing! 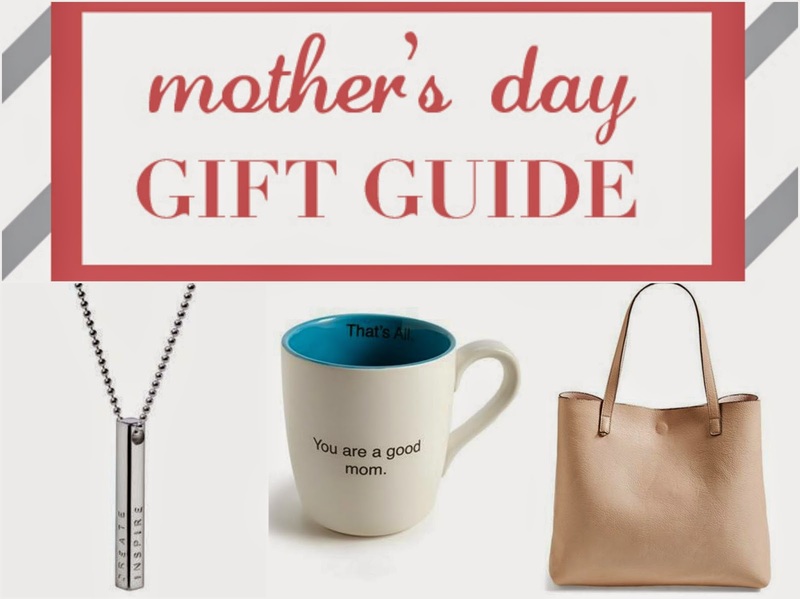 I can't believe it is almost time to shop for mother's day! Great bag! Ohhhhh, I love that mug! Ha! I love that mug.